Democratic nominee Richard Cortez and Republican nominee Jane Cross. 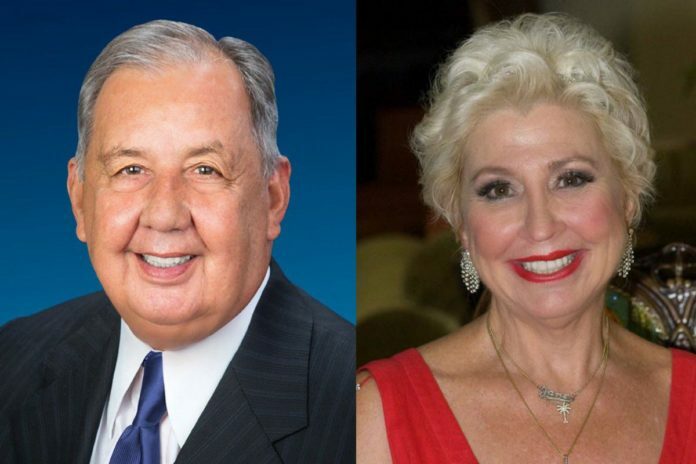 Hidalgo County judge candidates will face off today in front of a group of students thirsty for civic involvement, and the public is invited to attend. Democratic nominee Richard Cortez and Republican nominee Jane Cross will participate in a forum organized and run solely by students at the International Baccalaureate Programme. The debate, comprised of IB Lamar Academy students of all grade levels, will begin at 6 p.m. at the McAllen Chamber of Commerce, 1200 Ash Ave., and will run until 7:30 p.m. The chamber and Futuro RGV — a nonprofit formerly known as Futuro McAllen — partnered with the students to sponsor the event. “They not only believe the IB debate forum is full of leaders of the future, but they encourage them to be leaders today,” school officials said about the nonprofits. Students hope to openly discuss issues affecting the community and nation with the candidates. “They are committed to presenting these issues with integrity, impartiality, and in a respectful manner,” a news release stated. Event organizers said they hope the forum fosters and promotes student involvement in the electoral process. “It is important to realize even though we cannot vote, we should still have the ability to speak for what we believe in,” Ramirez said. Where: McAllen Chamber of Commerce, 1200 Ash Ave.